October 30, 2018, 12:00 a.m.
A quarter of Brits would choose to know when they’ll die, how it will happen, or even both. Have you ever wondered exactly how, or when, you’re going to die? Does the thought scare you? This Halloween, new YouGov research reveals that a quarter of Brits (27%) would like to know either when they’ll die, how they’ll die, or both. One in seven (14%) want to know both when and how they will die. One in twelve (8%) prefer only to know when, and one in twenty (5%) would rather only know how. Young people are the most likely to want to know all the details: one in ten (10%) 18 to 24s want to know when, one in nine (12%) how and nearly one in five (18%) both – coming to a total of four in ten (40%) keen to get some kind of early information on their demise. 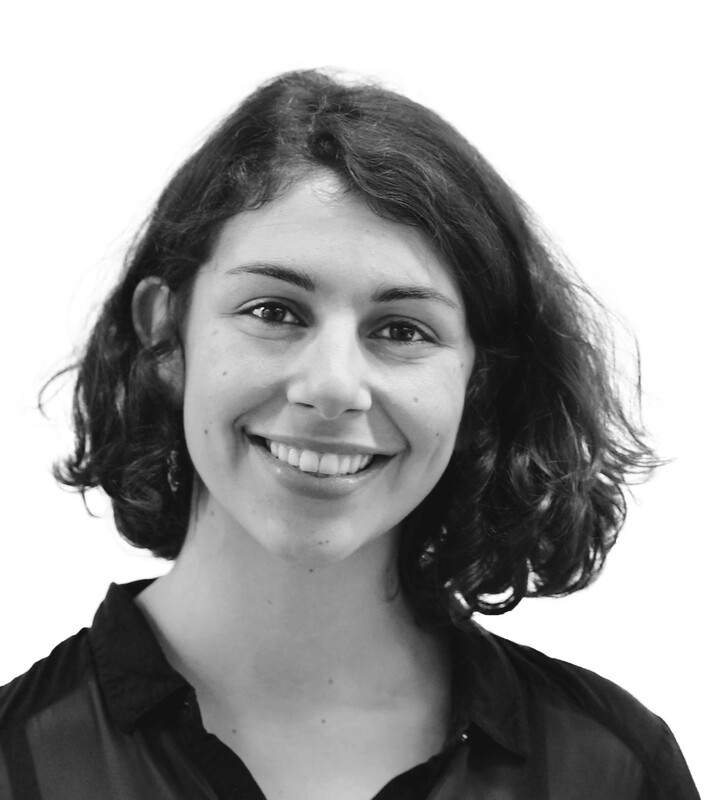 These figures fall among older age groups, with one third (35%) of those aged 25 to 34, just over a quarter of those aged 35 to 44 (28%), and a fifth of those aged 45 and above (22%) wanting to know anything about how they’ll die. In line with this, older groups are more likely to say they don’t want to know anything at all about when or how they’ll die, with three quarters (74%) of those aged 55+ saying so compared to half (52%) of under 25s. 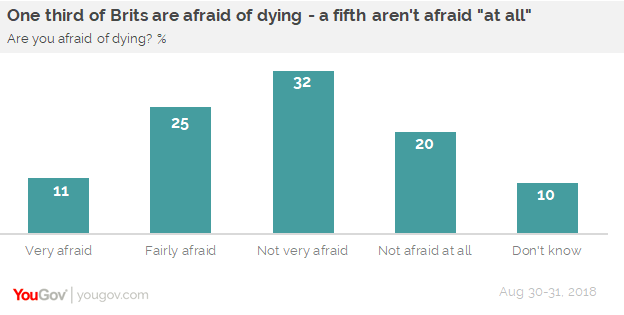 Half of Brits (52%) say they are not afraid of dying. One in ten (11%) say they feel very afraid, and a quarter (25%) say they feel fairly afraid. Despite being the most eager to discover how and when they’ll die, younger people are also the most afraid of dying: four in ten (42%) 18 to 24 year olds say they are ‘fairly’ or ‘very’ afraid, compared to a third (33%) of those aged 55 and above. A third of men say they are very or fairly afraid (29%) compared to four in ten (42%) women.